It was long journey to Minneapolis, around 10 hours in the bus and by the time we got there it had snowed and the temperature was about 40 degrees lower than Indiana! We arrived mid-morning. I went directly to my room to drop off my bags and then directly to the Mall of America, one of the largest malls on the planet, to do some Christmas shopping and ride the roller coasters…yes it is that big that they have roller coasters!! 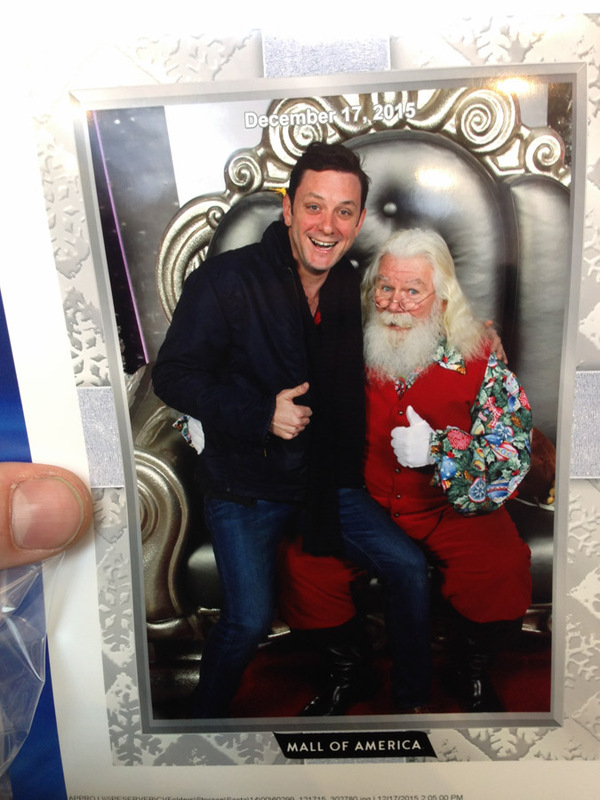 They also had a brilliant Santa that I could not resist getting my photo taken with! Fortunately Minneapolis is well prepared for the arctic temperatures it has to endure every winter and has created an elaborate series of walkways between buildings above street level called The Skyway, or as I like to call it, in honour of the latest Star Wars movie which came out this week, The Skywalker. I wasn’t entirely sure how it worked or if our hotel connected to it so, when I got up and went christmas shopping in the city I wrapped up in all kinds of layers and thermal underwear. After about 30 minutes of going between store to store and building to building without having to go outside I was sweating and had to go back and change.